This weekend I dabbled on “the other side” with some crochet. A friend gifted me 100 Colorful Ripple Stitches to Crochet by Leonie Morgan. This book is perfect for those who are beginners or have limited experience with following crochet patterns (This girl!). Awesome feature: The patterns include both written directions as well as pattern charts. 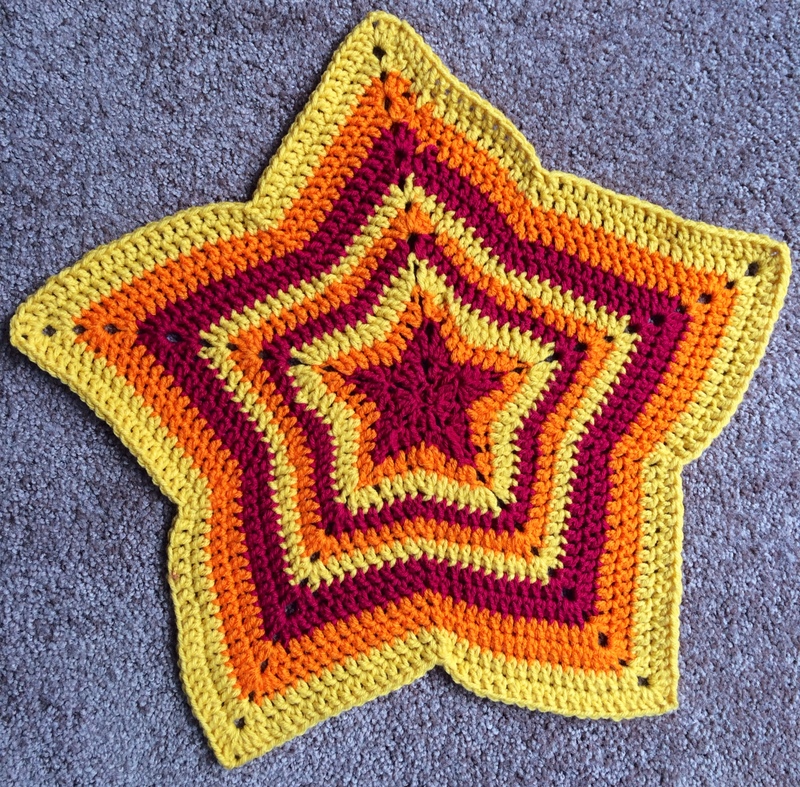 I decided on the pattern Hot Star which is a pattern in the round. I have not quite mastered crocheting in a straight line as my edges always end up really crooked. Therefore, this pattern was perfect. Interesting thing I found out while I was working on this project: I prefer reading crochet charts rather than the written pattern. Normally when I knit, I prefer written directions unless it is a color work piece. Maybe it is because I am not use to the crochet abbreviations? In terms of yarn, I practiced with some acrylic yarn scraps that I had in my stash bin. All yarn was worsted weight. I used a plastic crochet hook that I had lying around and that was a mistake. I guess I am super strong like the Hulk as I broke the plastic hook (whoops!). Fortunately, I uncovered a metal hook and could finish my project. I guess if I am going to keep up crocheting I better invest in some more metal hooks. I hope to make a few more patterns in the coming weeks. I ultimately would like to make a large blanket for holiday gifts.